The PADI Master Scuba Diver rating places you in an elite group of respected divers who have earned this rating through both significant experience and scuba training. Fewer than two percent of divers ever achieve this rating. 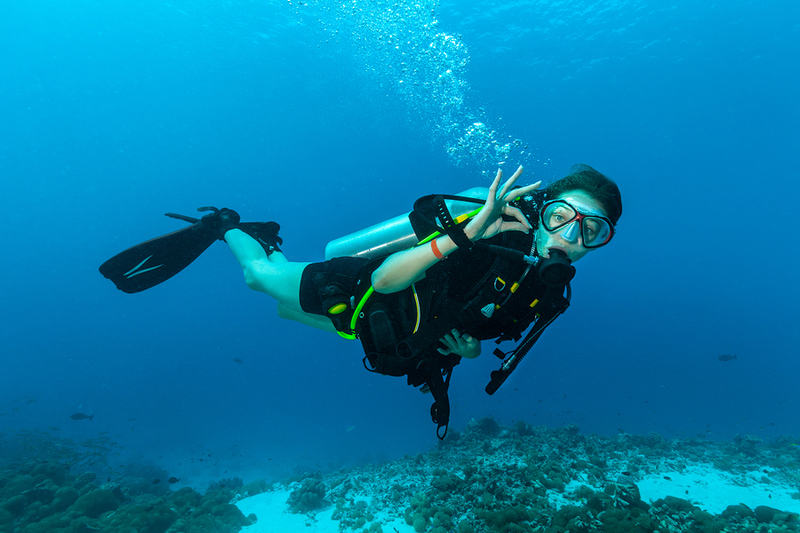 When you flash your Master Scuba Diver card, people know that you’ve spent time underwater in a variety of environments and had your share of dive adventures. To achieve the rating, you need to be trained to Rescue Diver level, have completed 5 Specialty certification and have at least 50 logged dives at the end of the program. Sounds complicated and expensive? NO! It has never been easier to become a Master Scuba Diver with our Master Scuba Diver Academy starting from as little as $28 per week. Our Academy runs between 6 and 12months on a payment plan, starting from $28 per week. The duration depends on your timing, our logistics and your current certification level. You can start without any diving experience (from Zero to Hero) or as an Open Water, Advanced or Rescue Diver. Once you sign up, you will choose your package and payment options. We will then schedule all courses with you bit by bit. There is no rush and we are flexible with timing so you can chose the days or weekends that suit you best. Part of the MSD Program is to gain diving experience (50 dives) so you will need to do some fun dives in between which we offer you at a 20% discount for the duration of the program. If you have never dived before or are Open Water certified, we recommend a 12 month program. We will contact you following your booking and confirm your preferred payment plan. The program runs over 6 or 12 months depending which package you choose. We will teach the courses for Open Water, Advanced and Rescue first prior to getting into specialties however, our logistics may dictate a slightly different approach. We will always talk to you and work out what suits best. We will issue you the course materials staged for the specific course/certification you are working on at the time. The materials are a mixture of online learning and books. Should you complete the program well in advance of the expiry of your weekly instalments, a one-off balance payment will be required to obtain your final MSD Certification Card. Considering our specific logistic, we can offer the following specialties. We have highlighted the one's that are mandatory for this program. Cancellations must be made via email to info@goldcoastdiveadventures.com.au and should be made with 1 weeks notice. Should you end the program before completion, the courses you have already done as part of the program are payable at our normal retail price. On this basis, we will work out the services you have already received vs. the payments you have made. Any balance payment will be charged to your nominated credit card. The equipment hire remains free of charge as well as any discounted fun dives and merchandise that you may have taken advantage of. Should a cancellation be made by us, we will determine the services already provided based on the discounted package pricing hence you will receive the full pricing benefit. Should your instalment payment decline for 3 weeks in a row, the agreement is deemed cancelled by you. For the scheduling of training dives, our standard diving cancellation policy applies. Should you not have completed your training within 3 months after the last instalment was paid, this agreement will be cancelled by default and no refunds for unused services are made. Talk to us if life gets in the way.